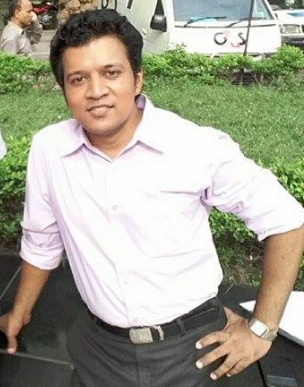 JTable Cell Validation: How to make Cells of first Column will take Char (string)input other Cells of second column will take int (integer ) input. In my last post I shared about how to assign two different JTextField in two different JTable Column cells. Today I am sharing with you another important part of JTable cell validation where I have tried to show you about how to make first column of JTable cells take only Char or string input and also at the same time how to make the cells second column take int (integer ) input from the users. 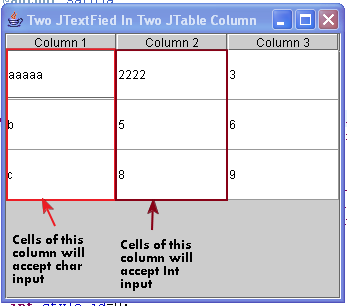 To implement this validation process I have assigned two different JTextField in two different JTable Cell Column. Just Copy the following code and Run it in your pc. Previous postWordPress Theme Enterprise CSS Upgrade: How to Remove Search Box, Navigation Bar and Add Custom Header Image using CSS. Next postTheme Pilcrow by Automattic CSS Edit: How to edit the CSS style sheet to fit the size of your custom header?